Meet Maeve! She is a beautiful 7 year old girl that was diagnosed with leukemia back in May and has been receiving daily chemotherapy ever since. Maeve loves to swim so she wanted to go with her brother, Rowan, to Kalahari water park and resort in the Poconos. 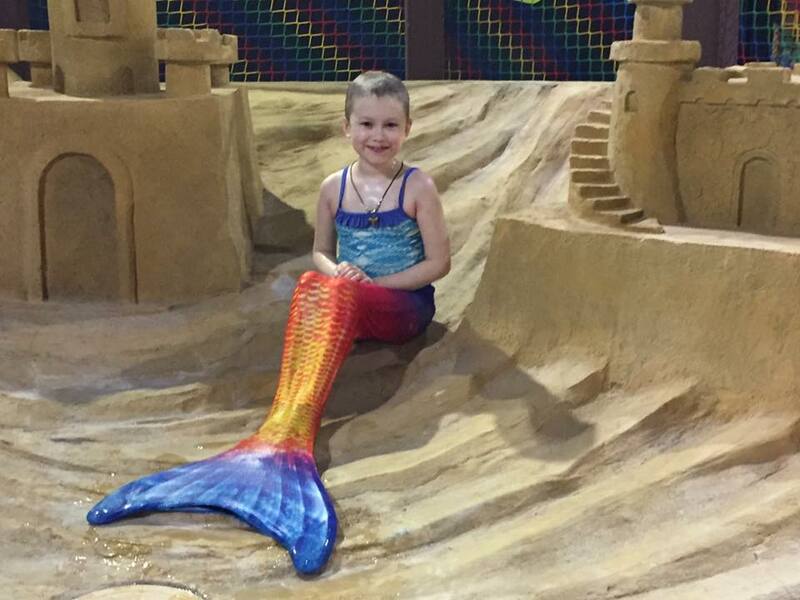 They all had such a great time at the park and Maeve even got to be a mermaid!! This trip was so meaningful for the whole family as it was their first trip since the diagnosis and the first time they didn’t have to think about cancer. The smiles say it all. Hey everyone, meet Avery, survivor of neuroblastoma. This beauty is from New Jersey and is a huge fan of Darci Lynn, the ventriloquist. Luckily, Miss Lynn was performing today and we were able to score amazing tickets and a special limo ride to the show!! You can follow Avery’s journey at Avery And Her Bravery. Your support was what made this possible!! Thank you all, this smile says it all. Today was an incredible day for us. We teamed up with another great organization, Colin's Crew to provide families affected by pediatric cancer tickets to Disney on Ice. It was so magical to see 25 families, strangers with so much in common, enjoy time as a family, together. The best part was seeing all the smiles. Thank you to all the families that attended! Our little buddy, Anthony, is just 8 years old and was diagnosed with a rare form of cancer called Near Haploid Leukemia last year. He and his family live in Florida and inquired about spending some time in New York City for Christmas. We reached out to some donors and in a short time had flights and hotel donated to this beautiful family. They flew out on Thursday and spent three days in the city, checking out all the attractions. They went to the top of the Roc, saw the tree, went to Central Park, visited the Statue of Liberty, top of the Empire State Building, ice skating in Bryant Park and had some world famous Black Tap Milkshakes! Whew! Most importantly they did it all as a family. They were busy but as you can see, they absolutely loved it. This is our vision of Christmas, where we all put the hustle and bustle aside and make it about the real gifts in our lives. Earlier this week we requested your help to make a trip to NYC extra special for a family in need, the support you gave exceeded our expectations. Erin is fighting Ewing’s Sarcoma and this trip allowed her to take her mind off of that, even if just for the day. Erin and family were able to enjoy The Christmas Spectacular as a family. She is pictured here in the middle of her three siblings. They represent our 98th family helped, thank you for your continued support. We hope you had a wonderful Thanksgiving! A few months back I met a young man in the hospital while we were delivering Italian Ice. Austyn, just 17 years old, had been recently diagnosed with Tcell Lymphoblastic Lymphoma just a few months before the start of his senior year. I briefly introduced myself and gave a quick explanation of LivFree. He was admitted so I knew he was having a tough day but his energy told a different story. This young man has a great energy and you could feel his determination. The next day I received a call from his Mother asking for more info about LivFree. As I explained I also asked some questions about Austyn and learned that he loved playing basketball. His mom had indicated his favorite player had been traded to the Celtics but didn’t know who it was.... but I did. After we hung up I emailed a friend from Family Reach an organization based out of Boston who was able to connect us with the Celtics. Within a couple of hours we had confirmation that Austyn and his family would be able to attend practice, meet the players and attend a game. On Friday Katrina and I delivered a package to Austyn and his Mom at the clinic. He was receiving chemo and a blood transfusion, but that didn’t matter. He was so excited to be going to Boston on Monday. He was smiling from ear to ear and it’s something we will never forget. Here are a few pics of Austyn at today’s practice with the Boston Celtics and meeting his favorite player, Kyrie Irving. A few weeks ago a young girl named Karen wanted to watch her favorite artist, Ozuna, in concert. Luckily, he was in town performing at Mohegan Sun! With the help of two very generous donors we were able to provide Karen’s whole family to a great night out. In addition to the concert they enjoyed an over night stay, a great meal at SolToro Restaurant and a gift card to the arcade! Karen is currently in treatment and this mini trip was a huge boost for her morale. Most importantly, they were able to spend time as a family!! Our little buddy, Cameron, enjoyed some time away from hospitals, doctors and chemo this past weekend. His family enjoyed spending time with Elmo and Cameron’s other favorite sesame characters. Thank you to all of our supporters for helping us put this wonderful smile on his face, he is way more than deserving of it. This weekend a beautiful young girl named Kiara and her family enjoyed a trip to New York City. We were able to provide tickets to the Statue of Liberty, Ellis Island and the Empire State Building! The great people at The Wagner Hotel in Battery Park graciously upgraded them to one of their best suites. The Sanders family had a great time as they were able to escape the chemo treatments and everything else associated with pediatric cancer, even if only for one weekend. A break and a sense of normalcy is so important to the morale of the children and the family. Please wish Kiara luck with her continued battle. A couple weeks ago we connected with our 80th family. We were able to provide flights from Minnesota to NYC and a few tickets to some attractions. The highlight was checking out a Knicks game vs the Minnesota Timberwolves (their home team). They were able to meet the coach and players in the locker room and got some autographs!!! We are so blessed to have supporters like you all to help us provide some much needed family time. This family experienced a trip they will never forget. Thank you all, check out the pics! Don’t forget to share our page! The world is definitely in good hands. The kids just get it when it comes to helping others. Peyton is the daughter of a Marine brother of mine, that I served with back in 05-06. He had followed our story and shared it with her. She then told him that for her birthday she wanted to help our cause and donate to help kids battling cancer. Well she had her 9th birthday party yesterday, and true to her word she has raised enough money to send two families to Disney on Ice next week. Thank you Peyton, you have truly made an impact on those in need. Happy birthday young lady, and thank you for being so selfless. Please take a second to wish her a Happy Birthday. 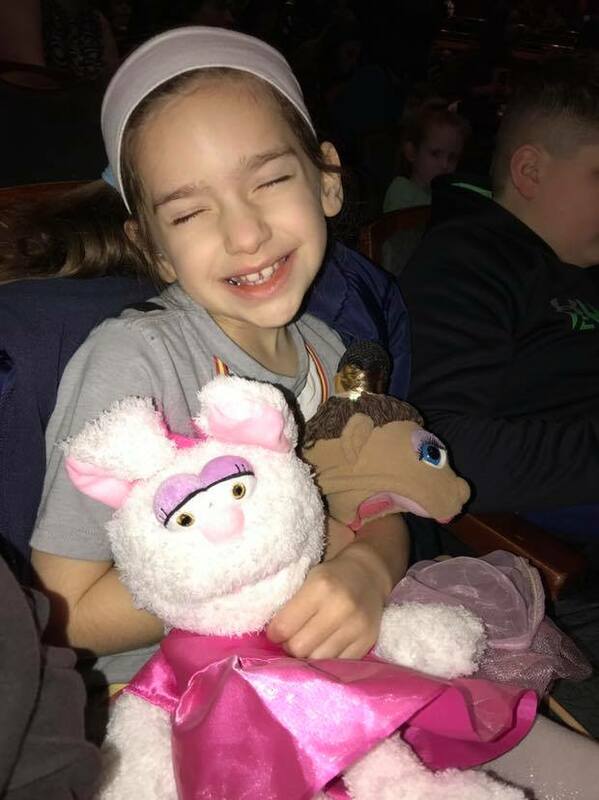 Update: Two families were able to see Disney on Ice Thanks to Peyton! The holiday season can be very overwhelming for many-the shopping, the parties, baking and the awful traffic. The truth is, even though there’s a ton of running around, it’s also one of the greatest times of the year. It’s about being with loved ones creating new lasting memories and also remembering the best of times. This week LivFree, with the help of friends and family, put a wonderful package together for a special family. A few months ago six year old Lea was diagnosed with DIPG, a rare brain cancer. We fell in love with her families’ courage and knew we wanted to give them something extra special for Christmas. They spent 27 hours in NYC with a bunch of fun activities such as the Rockettes, brunch at American Girl, dinner at Carmine’s, and visited Santa at Santaland at Macy’s. They spent the holidays the way it was meant to, together making memories that will stay with them forever. We would like to thank the W New York for their accommodations and going above and beyond. Thank you to Kristen Young-Evolve, Kristin Rosado, the Vieira family and Lage family for making this happen. Meet Ryan, he is currently fighting leukemia. He is an energetic boy that loves machines. We couldn't think of a better place than Diggerland USA for him and his family to spend some time. As you can see below he had a great time! We met him and his family while he and Lauren were being treated for Leukemia. Boys have a longer treatment than girls but Ryan is finishing up his chemo soon. After 3 years of intense treatment he has already had his last dose of intravenous chemo and will finish treatment all together in the next few weeks. 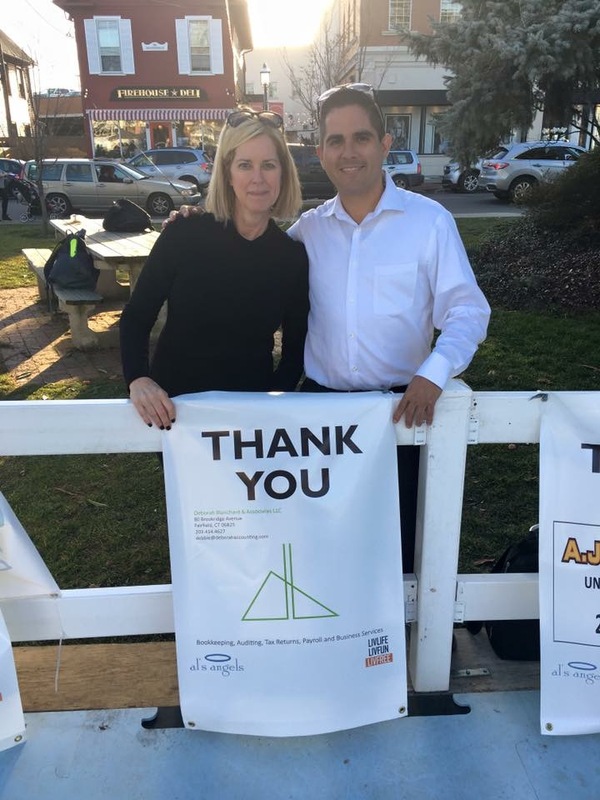 His family has done a great job with raising awareness by hosting and supporting many events across Connecticut. They will be hosting their annual Poker Run in October with proceeds benefitting LIVFREE! More info to come on that! Once again, a huge thank you to all of our supporters and sponsors. Meet Jimmy, he is a survivor of Bi-lateral Retinoblastoma. His cancer was discovered at 26 months old. He fought hard for 5 1/2 years through a gauntlet of treatments and procedures. His family is happy to report as of last week, they are 5 years clear. He is very excited to be turning 13 this October. He was only the 8th child in the world to receive an experimental procedure called interarterial chemotherapy. There was a tremendous amount of risk but proved successful and has since become standard procedure for treating thousands of patients after him. The best part is that most of these kids are keeping their eyes now because of the knowledge gained from the experimental trials. He is incredibly proud to have taken part in that now that he is old enough to understand. He will be attending 8th grade at Flood Middle School and plans to run for president of the student body this year while maintaining his straight A average! Because of your support we were able to send Jimmy and his father to a Yankee game. It was a special night as they faced their bitter rivals, the Red Sox. From the looks of it, they had a blast! Not sure if we ever posted this but these two people are very special to us. Dr. Joe and Claudia were Lauren's primary care givers throughout our whole treatment process. We cannot thank them enough for all they have done for us and continue to do for other families. I especially want to thank Dr Joe for the prescription to go golfing, it was exactly what I needed! Here is a great note we received from the Keil Family....proof that what we are doing is making a difference. LIVFREE had such a great weekend and it was capped off by being able to provide tickets to two families to see a Disney on Ice! Dressed up as Snow White is Téa. She is 2 and is fighting Neuroblastoma. She had a small break in treatment and was able to go see the show with her family. She will be getting a stem cell transplant in the next couple of weeks and can use the prayers, visit her page at Tough for Téa. 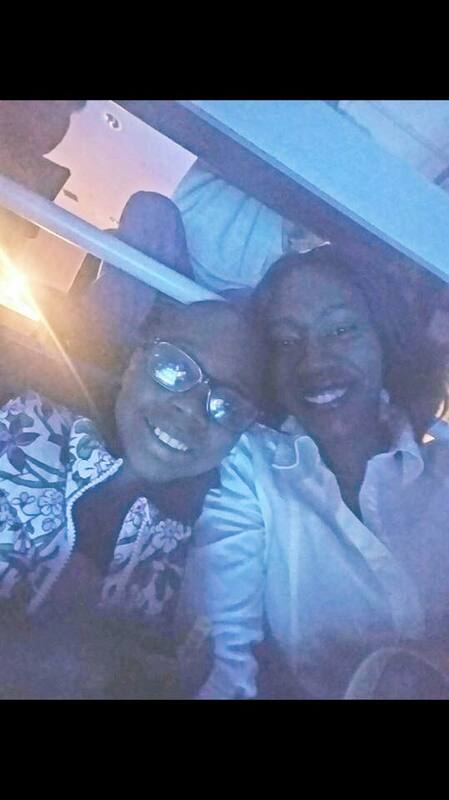 Keyonna and her family also attended the show and had a great time with her mom and cousins. She just finished up her treatment for leukemia after fighting for two and a half years. This week four families that have been or are currently going through some very tough times experienced some fun family time. The impact we are having on the morale of their family unit is HUGE! Thank you all for playing a role in assisting these families. Oliver on the left and Brian on the right (Oliver's brother, Simon, in the middle). They had two different cancers but were treated at the same time, same place. They met briefly while they were fighting cancer and they met again while they bunked together at camp for patients and survivors. Both have done an outstanding job fighting their respective battles. Apparently they had more in common as both are huge Lebron James fans. Tonight Lebron and company were in Brooklyn to face the Nets and LIVFREE was able to link them back up and provide tickets for them to see the King in action. So blessed to be able to provide this night out for two very deserving young men and their families. Again, it's you, our supporters that make this happen. 2017 is the year of LIVFREE!! Ethan, after nine trips to the doctor and emergency room, was diagnosed with an anaplastic Ependymoma . He was life-starred to Yale, where he underwent a 16 hour surgery, followed by radiation and months of chemo. He needed to relearn how to walk, talk, swallow, breathe, and just be a little boy. Earlier this week LIVFREE provided his family with tickets to see their favorite team play, the Flyers. This experience was so memorable for them all as the game went into overtime and eventually was settled by a shootout. One of the players even threw them a souvenir puck! Such a great family and we are proud to have met them. Once again, it is the supporters of LIVFREE that allows us to make this happen. Thank you all for your support and for providing this family with a memorable experience. Last week Katrina, Lauren and I took a walk around the block to meet up with our neighbors. The boy in the picture is Ray and he recently beat lymphoma. He is great to be around and has a pretty good jump shot (he also dunked on me but in my defense the rim was lowered). His mom had told us that they had been wanting to go to Lake Compounce for a while so we worked on it and made it happen. This weekend they spent some family time just doing what kids do... Enjoying the summer. We cannot make things like this happen without the support of our followers, sponsors and donors. Thank you to Bender Inc. for your support and helping make this happen. On a beautiful summer night, a young man, Brandon, was able to take a break from chemo therapy and enjoy a Yankee game with his father. He is fighting leukemia and has been recently admitted to the hospital for impatient chemo. On Monday, he was discharged just in time to attend the Yankee game. It was a very fitting game for him to be at. In the bottom of the ninth the Yanks were down 7-3 and the game seemed all but over. All of a sudden they put a few hits together and the game was tied. Then Didi Gregorius came to the plate with a man on and he belted a pitch into the stands for the walk off home run. I'm pretty sure Brandon understood what happened there. The Yankees, despite the adversity, never quit and came out victorious. Brandon, your energy in infectious. You have a glow that lightens up the room (even a dreary hospital room). We know the battle you have ahead of you is going to be a tough one. When things get hard, just think back to this game. Think back about how in the bottom of the ninth the yanks kept fighting and pulled it off. Then step up to the plate and be Didi Gregorius. While our staff was working on the final details for our event, our third family was off enjoying The Dinosaur Place. With contributions from all of you, LIVFREE had the pleasure of providing an awesome day for a family that recently beat Leukemia. You can follow this young boy's incredible story here at Victor's Victory. Thank you for your support and assisting us with providing much needed family time to another amazingly strong family. Here are some of the memories they created, looks like they had a dino-mite day! A special thank you our very first sponsor, Ener-G Tech, Inc. With their donation we were able to send our first family to enjoy a break away from cancer treatments. They enjoyed a beautiful day at the Bronx Zoo. This was a huge milestone for LIVFREE and now we have 99 more to go for this year!!! My name is Irene Blum. When I was 20 years old, I was a full time college student, full time worker, and a single mother of an awesome little boy named Jason. My life was very busy and I noticed I couldn’t keep up anymore. I was very tired and I had a persistent deep ache in my right leg that was so intense it would wake me up from deep sleep. I complained to my doctor for months before an MRI discovered an aggressive growth in my tibia. I was referred to Yale Orthopaedic Oncology where a biopsy revealed I had an extremely rare and aggressive form of pediatric bone cancer called Ewing’s Sarcoma. My treatment consisted of a year of high-dose chemotherapy and countless surgeries. They called me “Murphy’s Law Girl” because everything that could go wrong during treatment, did. The most debilitating complication resulted in an above-the-knee amputation. I was practically inpatient for 10 out of 12 months. During my treatment at Yale, I met Lauren Vieira and her amazing family. I became very close with them and confided in Daniel that being away from my child was tearing me apart. Just trying to stay alive not only hurt me, but hurt my son too because his mommy wasn’t around anymore. I went from being his primary caregiver to being lucky if I could see him during weekend visits at the hospital... Jason moved back in with me a couple weeks into remission and joined me at LIVFREE Day in 2015. I was honored to be the first recipient of the priceless gifts of being able to create memories with my son because I missed out on a whole year of his life. The Vieira family gave me gift cards to museums, restaurants, movies, and other family-oriented establishments in Fairfield County. My son and I enjoyed every single outing and we spent much needed quality time with one another. Checking out the sharks at the Maritime Aquarium, eating at the Cheesecake Factory, and watching movies in our local movie theater helped us momentarily forget about stupid cancer and what it did to us. The Vieira family gave my son and I the best summer of our lives because we knew firsthand how precious and short life could be. So we soaked up every opportunity to experience joy, happiness, and create new positive memories to replace those terrible ones. In the Cancer world everything is new or at least it seems new. You don't know too much or you never heard of the different organizations or events. You never really knew compassion and the meaning of support either until you become a part of this community. You see we didn't know this world until April 2015 when H, my 12 year old son, learned that he had osteosarcoma in his femur. In the beginning of this journey we learned first hand how funds are limited. Families who have been through this journey know first hand how hard it is and, even though they're in need themselves, they always want to help out others. One organization was LIVFREE. We were going to Washington DC for Curefest and since it was a planned trip we booked the hotel and event for that night. Days before the trip, we received and email for a chance to tour the White House. This was a great opportunity for us but financially it was a little difficult. We posted on social media how we had to pass this opportunity and with no hesitation we were messaged by LIVFREE with an offer that we couldn't pass up. With their help, we were able to leave two days prior to the event and get a hotel room. We were able to sight see DC and tour the White House. LIVFREE free gave us the opportunity to enjoy our stay and see the White House, but they also taught us what love and caring is. We thank them for helping us create memories and life lessons of how the cancer community works.